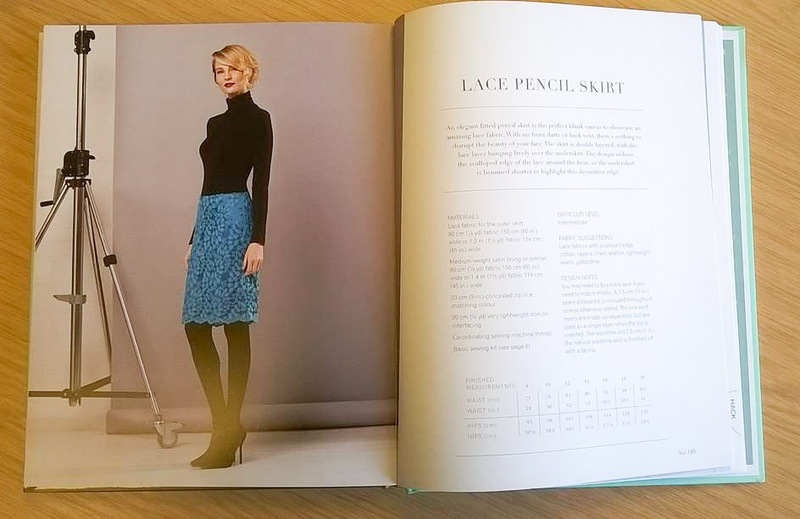 In advance of tonight’s episode White Tree Fabrics gave me 2 metres of the lovely teal/aqua coloured leaf lace seen in the show and in the accompanying book, used on this gorgeous pencil skirt. The lace has such a pretty scalloped selvedge I wanted to showcase that. 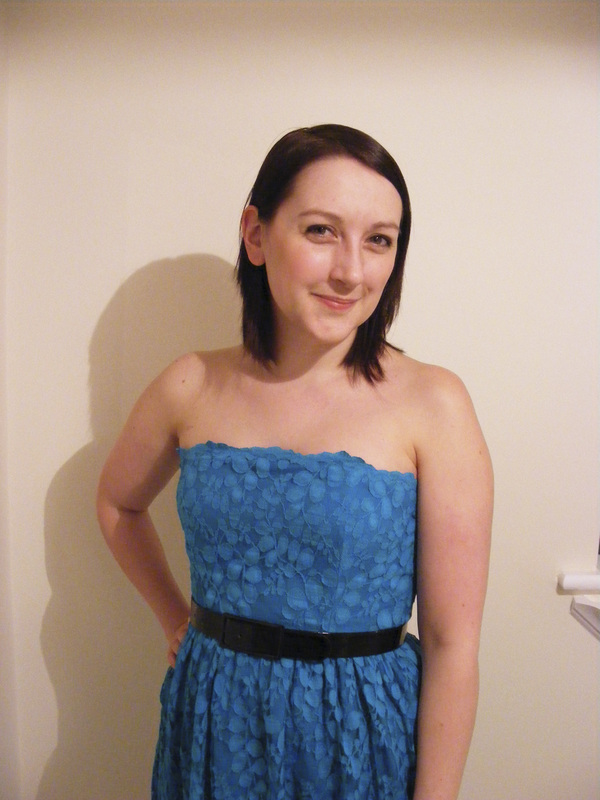 So I thought if I made a strapless dress I could include a scalloped neckline and hem. I used my tried and true Butterick 5351 as a starting point. 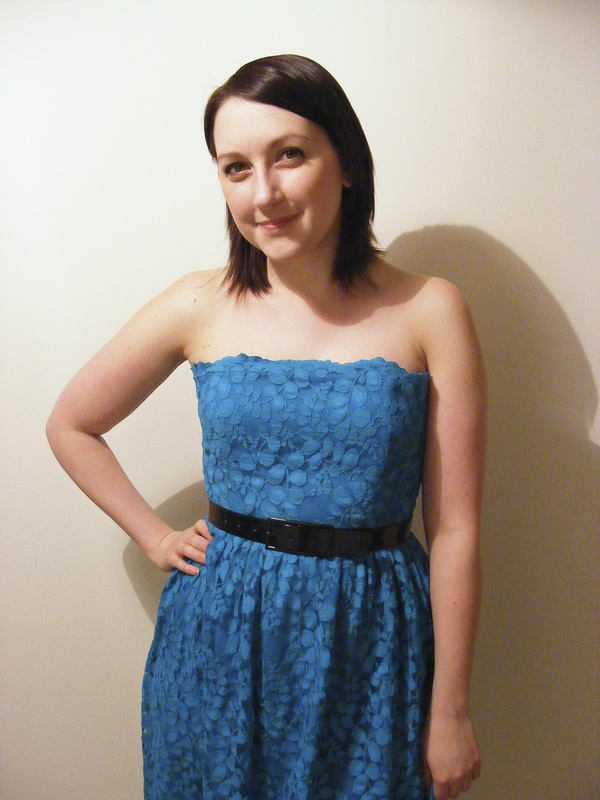 This is a non-stretch lace and I found a teal rayon to use as a lining. I underlined the lace using tiny hand stitches and then changed the order of the construction to line the bodice and sew-in fabric covered boning. I decided not to line the skirt and just underline it; the skirt pieces are just two gathered rectangles. I don’t personally think this is the type of lace to worry about pattern matching. The leaf design is quite free flowing so seam lines don’t interrupt the print too badly. I bet I’d get marked down on the sewing bee though. Before I started I washed the lace on the cool handwash setting of my washing machine, and because it’s a cotton lace there was a little shrinking but no colour fading. There’s not a massively clear difference between the right and wrong sides either. It was a really nice lace to work with. So there you have it! 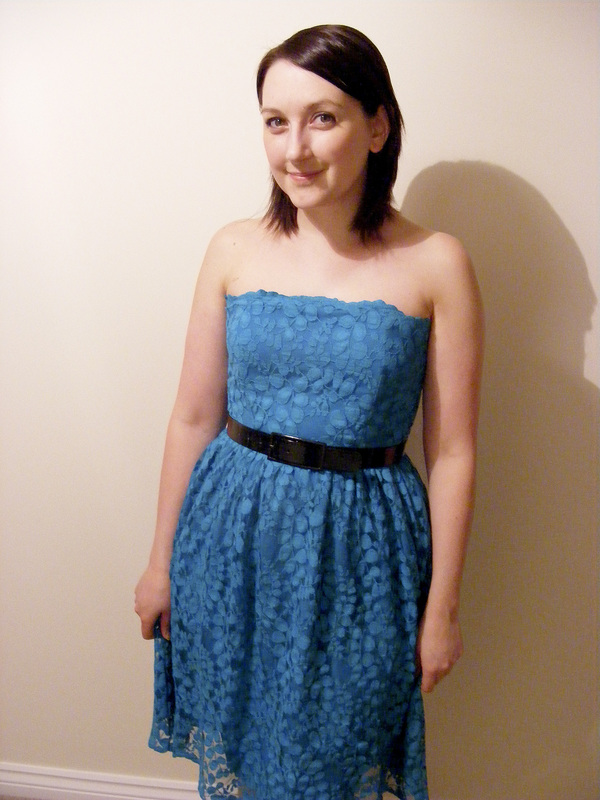 A sweet new blue dress paired with a black patent belt and shoes.